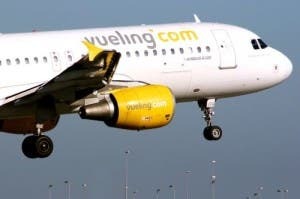 THE recent story of two Vueling passengers who were kicked off the flight ‘for speaking Catalan’ has been branded as ‘fake news’ by fellow passengers. The story, reported across the UK and Spanish nationals, claimed the two women were asked to leave the flight from Menorca to Barcelona after they refused to speak Spanish to a flight attendant. According to 72-year-old Margarita Camps Ca, she had to put something she had put at her legs in the overhead locker because she was seated at the emergency exit. She did not want to do that and expressed as much in Catalan to which the flight attendant said she had to speak in Spanish. Another woman defended the 72-year-old passenger and the pilot asked to have a word with the ladies outside of the aircraft, before they were refused back onboard. However other passengers say that is not the whole story and that it has been twisted by media reports. In a series of tweets, passengers claimed the two women made a ‘dramatic show’ and verbally attacked the flight attendant, who had to call for assistance from fellow cabin crew. They were allegedly so aggressive that the pilot urged the women to leave the plane for disorder after which they were escorted by the Guardia Civil. The women refused flat out to speak Spanish, which was a problem because they were seated at the emergency exit. 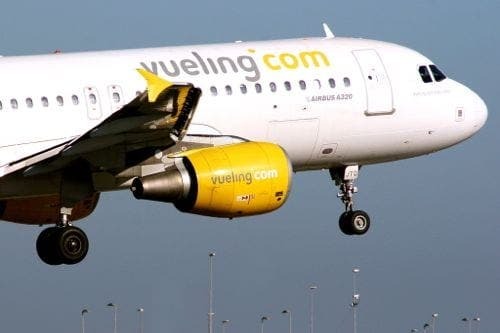 According to the rules of Iberia, the parent company of Vueling, the safety information for those chairs should be given only in Spanish and English, according to the newspaper Vozpopuli. When the women were asked to leave the plane, one of them allegedly began to yell hysterically that they were in Catalunya and the whole event was ‘ridiculous’. After the incident, the pilot spoke to the other passengers to explain to them what had happened on which the whole aircraft spontaneously applauded, passengers claim.